Fortech specializes in designing, creating, installing and supporting of process control and monitoring systems for the water and wastewater industry. Our team of certified Professional Engineers have extensive backgrounds on instrumentation control, SCADA, radio telemetry, network communication, and drive systems. We offer engineering services to municipal and industrial customers in developing a realistic solution that will fit their existing and future needs. 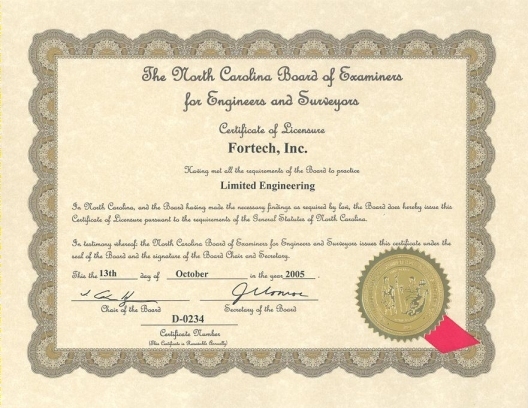 Fortech is certified by the State of North Carolina for providing engineering services to design and build complete engineering solutions from the ground up.